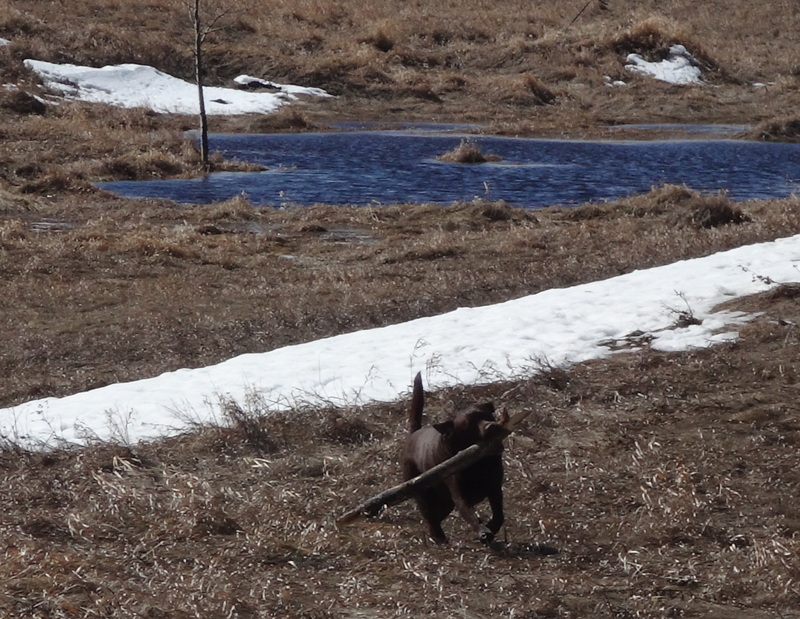 Rare chocolate beaver spotted on Nose Hill, Calgary….. Very public-minded Charlie…you did the Pooch Walk proud…! This entry was posted in Dog Walking, Dogs, Nature, Weather and tagged beaver, Charlie, Charlie B, Charlie Brown, chocolate beaver, chocolate lab, dam, dam builder, flooding, melt water. Bookmark the permalink.